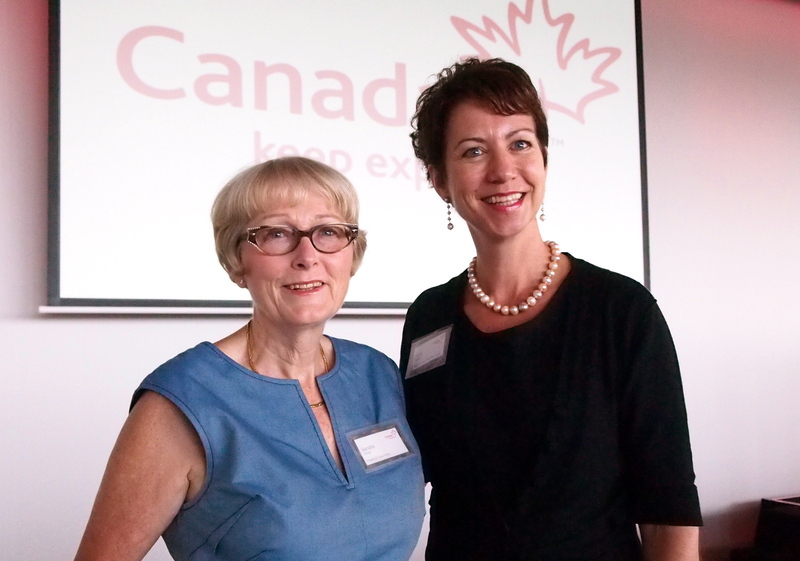 MORE TO CANADA THAN MOUNTIES The Canadian Tourism Commission recently presented some of Canada’s signature experiences to local media during a lunch held at Sydney’s Museum of Contemporary Art. Quebec and the Yukon were amongst the featured regions, as well as British Columbia with Victoria’s beautiful Butchart Gardens, a short distance from Vancouver, which is a popular cruise port for Australians. The Rocky Mountaineer train service departs from Vancouver on its journeys inland to many scenic destinations such as Lake Louise. One of Canada’s most talented young performers, the keyboard playing singer Ann Vriend, provided beautiful music as we dined. At the conclusion of the event, walking through The Rocks, I managed to attract a lot of attention while wearing my big white cowboy hat, courtesy of the Calgary Stampede. I am now inspired to explore Canada, I just have to decide when to go. PHOTO: Sandra Tiltman with Donna Campbell, Managing Director, Canadian Tourism GSA. This entry was posted on Wednesday, February 15th, 2012 at 7:04 am and is filed under Uncategorized. You can follow any responses to this entry through the RSS 2.0 feed. You can leave a response, or trackback from your own site.